Following Reuters Breakingviews Index, which said early this month said that India's gross domestic product (GDP) did not grow by 7.5 per cent in the first quarter of this year, as claimed by the Modi government but just around 5 per cent (click HERE to read), world's leading consultants Morgan Stanley has created a flutter by declaring that India could not have growth "anymore than 6 per cent." 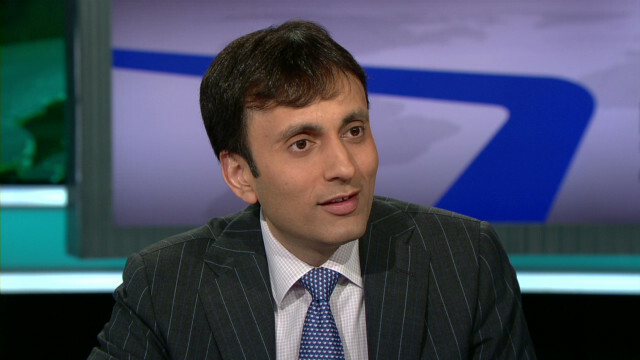 Ruchir Sharma, head of Emerging Markets and Global Macro at Morgan Stanley Investment Management, in a recent interview with CNBC-TV18 in New York, has said that the Government of India's "revised GDP numbers", that have shown India as the world's fastest growing economy, are nothing but a "nonsense. He insists, "This [the GDP growth number] is the most ridiculous thing I've seen from any country in the recent past. It is hurting our credibility" he says. Saying that some "incremental change" has taken place towards reforming India's economy, Sharma, however, regrets, they are "not the kind of big bang reform that some people were expecting." He adds, "If you do not get that big bang reform in the first year it is very difficult to do that in the second year or in the third year. because the opposition tends to regroup." Pointing out that "the political capital is beginning to decay", Sharma says, the Government of India's projections of the Indian economy growing by 8.5 per cent or 9 per cent or 10 per cent are "completely off the mark", adding, "To claim that the Indian economy is growing at 7.5 percent with exports slumping -- which was the big contributor to growth last decade -- is absolutely ridiculous." Looking at the international scenario, Sharma suggests, this is even more off the mark. He says, "At a time when the global economy is growing at pace of little more than 2 percent and the growth rate in emerging markets has halved from a rate of 8 percent at the peak last decade to less than 4 percent just now. Ex-China it is just 2.5 percent..."
Sharma wonders, "Where are the signs of this domestic boom? There is something called as measured economy and something called as experienced economy. Who is experiencing the 7.5 percent economic growth in India, I want to know, who these people are?" Suggesting that India's economy grew at a faster rate than that of China is "the single biggest pitfall of this government", Sharma underlines, "Comparing India and China is cool because these are two large economies based in Asia but there is nothing in common between them even in terms of size." He adds, "India today is where China was about 20 years ago." "We are also in an environment where the overall environment for emerging markets is not that conducive", Sharma says, adding, "The overall flows to emerging markets haven't been that strong and this is not what the case was last decade." Wanting the Government of India to begin reforming with public sector banks, Sharma says, "You cannot have a system where 70 percent of the assets are controlled by public sector banks and those public sector banks have such non-performing loans which are not properly recognised for a long period of time, that is just a lot of wrought in the system." Pointing out that India faced "the biggest missed opportunities in the first year", Sharma wants the public sector to continue to play the key role in infrastructure: "The private sector is not good at infrastructure. If you look historically it is really the public sector which plays a dominant role in infrastructure. China spends 10 percent of its GDP on infrastructure but the reason why it is able to do that is because it doesn't spend that much on subsidies."